Children’s books are the best! 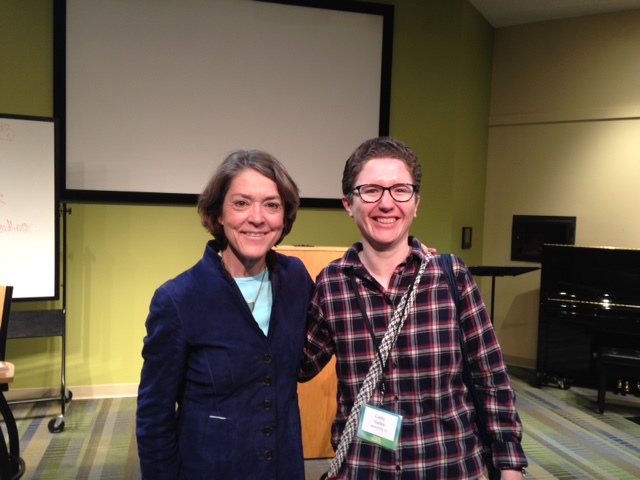 I had a really great time at this year’s Festival of Faith & Writing. It’s hard to believe the Festival will be turning 30 at the next one in 2020! Here’s to two more years of reading! “No matter where you are in your career, have a servant’s heart,” said Barbara Bradley Hagerty (left). I haven’t worked as a full-time journalist for over six years, but I still care about the field – and my friends who remain in it – a lot. Amid the political and financial turmoil that news outlets, particularly local newspapers and TV stations, are suffering, it can be hard to see signs of hope for the industry. “We have an administration that has demonized the press,” Norman said. “‘Fake news’ used to mean ‘stuff made up out of thin air,’” but is now used derogatorily toward respected news outlets. Norman said he has remained in journalism because “I want to be part of the conversation, a more robust civic conversation.” That conversation has expanded with social media, as “you’re on so many more platforms now,” and people follow him on Twitter who don’t even read the print edition of his newspaper. She also noted that audiences can turn to podcasts and online sources of news as local newspapers die off, and reporters can get bylines in other places. Still, Norman said that to an extent, newspapers will always be a good way to convey information: “It’s going to be like vinyl records,” not completely going away even as new forms of media emerge. At another joint session, Emma Green of The Atlantic and Sarah Pulliam Bailey of The Washington Post also noted the effect of President Donald Trump on journalists, particularly regarding religion coverage. “The media has in some way woken up to the religion world again,” Green said, noting that New York Times Executive Editor Dean Baquet and others recognized there’s “a force at work here that we didn’t have our pulse on.” She’s seen “more good journalism in more places about religion” that wouldn’t have run such stories before. Earlier, Hagerty and Norman said the fact that more people have subscribed to larger national newspapers in the past two years is encouraging. “That’s how you strike a blow for freedom,” Norman said. My biggest takeaway from both sessions was that American journalism as a whole isn’t dead. But, it will continue to change rapidly, and those who want to get the fewer and fewer jobs available in the field need to have the skills, right attitude and perseverance necessary to seek out opportunities wherever they can. To build on Green’s statement, reporters shouldn’t just cover people not like them, but their bosses should hire people not like them. The American public — and American democracy — will all benefit as a result of having stronger, more representative media that takes religion, among other subjects, seriously. She encouraged the audience to be advocates through their writing, especially in light of current political and social issues in the U.S. Although writers tend to be a solitary bunch, she said they need to overcome that, for other people’s sake. As I listened to Hatmaker (and laughed a lot — she is incredibly funny), I wondered whether I needed to be an advocate in my writing as well — something I have usually shied away from. Since my background is in news journalism, I’ve sought to be as neutral as possible unless I’m writing an opinion piece. Washington Post religion reporter Sarah Pulliam Bailey said during a panel discussion Saturday on civil discourse that journalists “don’t have to give answers.” Instead, she just listens and asks questions — and that suffices. I do think Hatmaker is right about the power of words to shape reality and the necessity of using them for constructive purposes. (The Book of Proverbs agrees, and folk musicians such as Festival performer Carrie Newcomer represent another great tradition of words that can bring about change.) But, as the writer of 1 John notes, words on their own may not always be sufficient. In his talk, McKibben said that when he saw the very human consequences of Western pollution in Bangladesh, “it felt obscene to just write about it.” And since the books he had written about climate change and other environmental threats didn’t seem to be convincing people, he turned to nonviolent movements and organizing, although he continues to write. Ultimately, I think the trick for a writer is to find balance — know when to be an advocate, when to let other people speak, when to speak up yourself and when to act. Together, words and actions are a powerful combination — and when they’re used in truth, the world can’t help but benefit. When I was stuck in Grand Rapids on Sunday after the Festival of Faith & Writing due to snow and ice, I met up with a friend and joked to him that this year’s event could’ve been called the “Festival of Faith & Writing & Trump,” based on how often the president – and his relationship with religious groups – was mentioned. In one session, Emma Green of The Atlantic said she’s come across stories “16,000 times” asking how 81% of white evangelical Christian voters – the number reported by exit polls after the 2016 election — could support Donald Trump, given his apparent contradiction with their personal and political beliefs. “I think we need to move past that story line,” she said. However, based on other sessions I attended, she seemed to be the only one feeling that way. Evangelicals of various races and sexes wanted to discuss how the election affected them, whether their community was being unfairly characterized and where they might go from here. “The worst part was when the number 81% was published,” Korean-American writer Kathy Khang said at the “Still Evangelical in the Age of #MeToo?” forum. “I couldn’t be around my white evangelical friends,” including white women who were outraged by Trump’s bragging about sexual assault but stayed silent on his previous racist comments. People of color “kept raising the alarm over and over,” but she said it made no difference. Sandra Maria Van Opstal, a pastor and daughter of Latin American immigrants, agreed. “I’m not going to pat you [white women] on the back – you’re late,” she said. She felt a “deeper and deeper sense of betrayal” on Election Night. Now, “this nightmare is really true. This year, not only is it that bad, but it is so much worse. Trump supporters continue to back him,” and she fears for the immigrant women her church serves. Looking ahead, Van Opstal and Karen Swallow Prior, a white woman who teaches at Liberty University and has written multiple books, said evangelicalism needs drastic change. The history of evangelicalism – and the very meaning of the word itself – also figured into a discussion between editor John Wilson, historian Heath Carter and writer Macy Halford, all white evangelicals. “I am appalled every day that we have the president we have,” and that evangelicals contributed to that fact, Wilson said. Although some in the audience questioned whether the 81% figure was accurate or whether it mostly included less-educated rural voters, Carter said that Trump found a great deal of support in suburban churches and that white evangelicals tend to vote as a political bloc. He said the word “evangelical” has a historic theological definition in David Bebbington’s quadrilateral but also has sociological and political connotations. And even though many black American Christians may have similar personal piety and theology to that of whites, they don’t often use the term “evangelical” to describe themselves. Looking ahead, “evangelical elite folks [are] worried about the future of the movement,” he said. In fact, just after the Festival, a group of about 50 leaders (including Festival participant Katelyn Beaty) held a meeting at Wheaton College in Illinois to discuss that. Still, Halford said that evangelicalism will still have an influence, due to its impact on American history and culture. “We’re all partly evangelical,” she said. I suspect she’s right, even though I’ve been debating whether the word still has any meaning at all – and whether a word that encompasses such divergent viewpoints is even useful anymore. For the record, I grew up in an evangelical family and church, although I hesitate to use the word now to describe myself, since I hate having to explain it. I realized I was guilty of what Khang criticized, being more vocal about Trump’s misogyny than his racism. As a Christian, I know I have to do better, and I apologize to those who were hurt by that. For a good primer on white evangelicals and Trump, Michael Gerson’s recent cover story for The Atlantic, which several Festival speakers mentioned, is a great place to start. 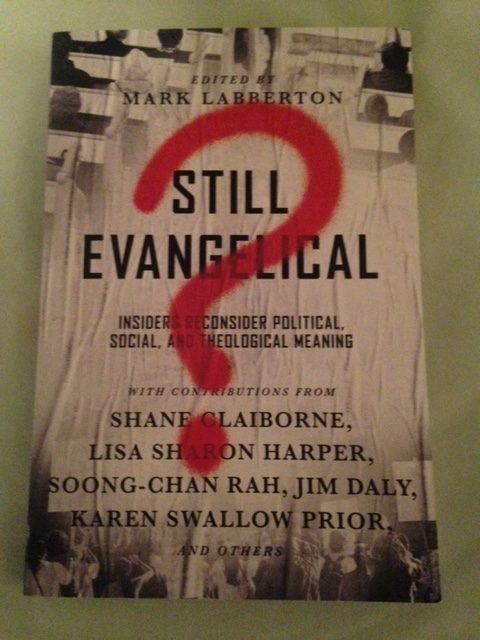 I plan to read “Still Evangelical?” which features contributions from Prior and Van Opstal, and see what comes out of the meeting at Wheaton. Hopefully, this year’s Festival will lead to some much-needed conversations – and new story lines – for the next few years. 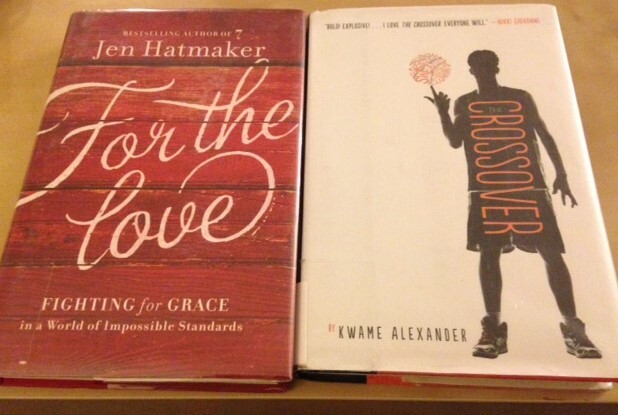 Jen Hatmaker and Kwame Alexander aren’t journalists, but I like them anyway. I’ve stopped keeping track of how many times I’ve been to the Festival of Faith & Writing at Calvin College (my undergraduate alma mater), but I’m expecting another great one this week. I’m looking forward to several sessions pertaining to gender, especially a lunch forum called “Still Evangelical in the Age of #MeToo?” featuring several prominent Christian women (including fellow Calvin grad Katelyn Beaty, whose work I admire). The word “evangelical” has become even more loaded since November 2016, and since I’m a woman, an editor who cares about using words accurately and a Christian, I’m curious to see what the panel members think. I’m also intrigued by a session titled “Why Don’t Men Read Women Writers? 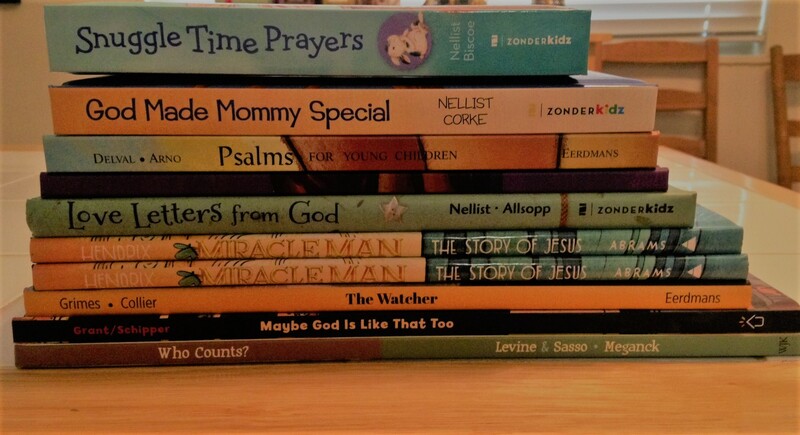 Closing the Gender Gap in Christian Publishing” because I would like to write a book someday, and I want men — and women, and maybe even children — to read it. And, since I love journalism, I’m excited for sessions by Emma Green, Barbara Bradley Hagerty, Tony Norman (another Calvin grad! ), Jonathan Merritt and Sarah Pulliam Bailey. Green and Bailey will be discussing how women have become prominent in religion journalism, which I can’t wait to hear. The best session title by far, though, in my opinion, is “Focus off the Family,” featuring none other than Gina Dalfonzo (whose book “One by One” I reviewed back in October). She and others will discuss how to write about “the struggles and joys of lives that don’t have marriage and/or children as their focus,” another subject that’s one of my pet soapboxes. Of course, there will be plenty of great speakers/writers outside of my own professional and personal interests — Kate Bowler, Fleming Rutledge, Kwame Alexander and Jen Hatmaker, just to name a few. But I think the biggest temptation I’ll face this year won’t be buying too many books, but feeling compelled to unnecessarily compare myself to others. One of the things I love about the Calvin community is its humility, which shines through in the college’s willingness to host so many people from so many religious backgrounds and learn from them. I will try to model that quality myself and not be jealous as I catch up with old friends and make new ones. If you’ll be there, let me know, and hopefully we can meet in person!